Cory O’Donnell is web manager and producer at FOX 4 WFTX-TV, managing , a broadcast TV station and manages the websites Fox4now.com and Fox4MorningBlend.com. 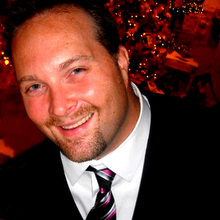 He leads and consults with the Fox 4 News and Marketing teams to update content and maintain the station‘s news website. Cory also creates content and captains the Fox 4 Morning Blend team on their community events site, Fox4MorningBlend.com. Prior to his current position, he helped create and execute the News Marketing Strategy for Southwest Florida’s #1 prime-time newscast, Fox 4 News at 10. A media communications professional for the past 9 years, Cory has recently been honored with the AP award for Best Website in the state of Florida - Middle Market division, an award that Fox4Now.com has now won 2 years in a row. In the next year, he will continue to build on the website’s fast growing success, overseeing oversee complete re-designs on both websites while maintaining his social media strategies to strengthen Fox 4’s viewer advocacy brand and further enhance the user experience. Cory’s first foray into social media started in August 2002, when he started blogging about his interests and experiences working in television and his favorite hobbies, film and music. As the Web Manager for Fox4Now.com, he has introduced the news staff to the Web 2.0 world, creating pages on Facebook, MySpace, and Twitter. In addition, Cory helped guide several FOX 4 anchors and reporters on their first professional move into social media, including the Twitter pages of Chief Meteorologist Tom Johnston, Collier County Reporter Renee Stoll, and FOX 4 TroubleShooter Marisa Mendelson. Cory maintains numerous personal social media accounts, and partners with his wife on a twitter pet project called the “Florida Freakshow”, finding the best weird and wacky stories that can only happen in Florida, injecting those news items with their personal sardonic brand of humor. Cory also shares a love for all things design and incorporates this passion into his social media life. Recognizing the potential for a strong brand wrapped within Twitter, Cory created his own personal and professional Twitter backgrounds, including a brand logo for his personal profile. But, it’s not all about him. He has also outsourced his talents to other friends and clients, working closely with Dean Piccirillo to design the new logo and some web logo elements for the Social Media Club of Southwest Florida. Raised in Kirksville, Missouri, Cory lives with his wife Kirsten and their cat Zoe in Cape Coral, Florida. He holds a Bachelor of Arts degree in Broadcasting and Film with a minor in Theatre from the University of Central Missouri in Warrensburg.